Alf, 28 Feb 2016My CAT phone freeze, then I switched it of and it never came on again, The battery was at 80% ... moreOnce it recharges it should work. Re battery usage, disable the location app. It really eats up a lot of power. 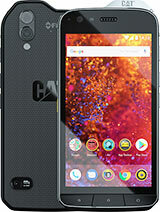 Mat69, 14 Oct 2014Hello, I have owned a B15Q for less than a month, and all of a sudden the screen froze up on m... moreMy CAT phone freeze, then I switched it of and it never came on again, The battery was at 80% before I switched it off . now its completely dead. any suggestions? Phone b150q - memmory card. The phone see the card how do i get ut to work on the memmory card. I want to button and touch phone price list.want to buy in chennai. i havn,t upadte my ph from few years ..how to get this plz help me .. I used this phone for 10 months, it's battery is not so powerful, otherwise this is is too good. I had the B15Q for three months, dropped it from a height of about 800 mm and the screen shattered. 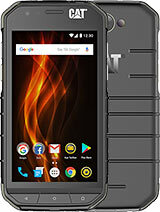 This supposed indestructible phone that has Corning Gorilla glass and advertised with the words "ARE YOU TOUGH ENOUGH" can be dropped from 1.8 m and nothing will happen to it. Check out the website. Further, all communication from the CAT group is sorry about you being unhappy. Guessing the pride that they have in the phone is not as much as the pride they have in the false advertising. 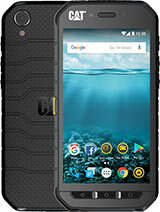 I have b15 20 monts and this is wath i have batery is good and every thing work OK its not some monster but it work in every condition and it loock like ne satysfied for all money. Help! I consistently cannot get the back to stay on! The top will not go in properly, even though I try to follow the directions that come on the back of the phone. It was in tight when received, but I have 2 phones like that and no one can figure out how to get the back to stay on tight. Wlan connection causes problems and the phone sometimes just turns off for no reason. The device was already in maintenance and the battery was replaced, but it didn`t help. 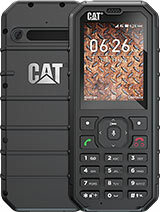 The CAT S50 is the best no failing at all Moise can confirm that. does anyone else find that their phone is failing ? 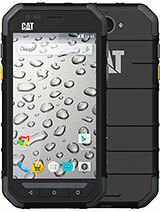 Sound on phone calls is muffled and very instinct, Touch screen is failing , battery life is only about 6 hours with minimal use . Overall a very disappointing phone. Is there a way to do a software upgrade or reset ? internet speed is very very slow on 3G/WiFi. i am installed just Facebook lite, whats app, viber, Skype, phone contact+, why this happening on B15. without any additional apk (only pre-installed) working perfectly. i never trying to use games. dear friends pls let me know why this happening? 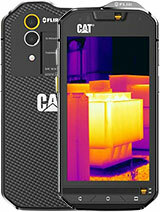 Total of 102 user reviews and opinions for Cat B15.